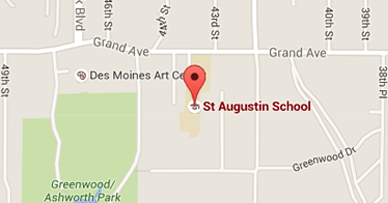 I have been teaching in Des Monies area Catholic Schools for many years, and this will be my third year at St. Augustin Catholic School. What I like most about teaching: Watching the students grow academically, spiritually, and emotionally. About my family: My husband Patrick and I have three wonderful children - Mark, Kate, and Mary. Outside of school I enjoy: I like spending as much time with my family as possible. We like cheering on the Drake Bulldogs and St. Louis Cardinals.